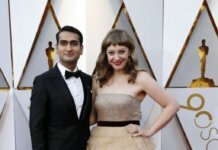 Indian-American actor Kal Penn has started a fund raiser for Syrian refugees after a Twitter user said he doesn’t belong in the U.S.
Penn, who has been playing pivotal roles in the American entertainment industry for over a decade now, originally set the fund raising amount at $2,500, but has raised over $128,000, reports dailymail.co.uk. According to dailymail.co.uk, Penn’s CrowdRise page mentions that the money will go to the International Rescue Committee. His remarks came just a day after President Donald Trump signed a restriction on people from Muslim countries entering the United States, regardless of if they have Green Cards or refugee status. Penn, 39, is a US citizen, born to Gujarati immigrant parents in Montclair, New Jersey. The actor has starred in various TV shows and films such as “Harold & Kumar” and “House”. Additionally, he served as an associate director of the White House’s office of public engagement under President Barack Obama’s administration. He also worked as a White House speech writer under the former president.